Publications, Web Sites--you name it. 40 West Studios is a marketing solutions and publications agency that specializes in developing print design, advertising, corporate identity, corporate displays, and Internet solutions. We have at our access a collective of very talented professionals and companies who are instrumental in the development of our broad range of successful projects. Want to know more about us? Or maybe you have come to a fork in the road and don't know which direction to take? 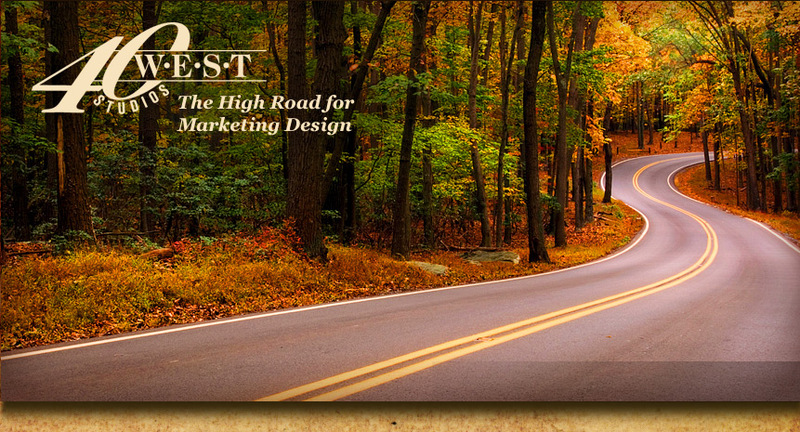 Feel free to give us a call and we can discuss how 40 West Studios can help point the way for your company to go.